Erich Von Stroher’s 1925’s “Greed” was the first motion picture made based upon a book. It is rumored that the director wanted to be as true to the book as possible, and the director’s original cut was nine and a half hours long. Summertime is the time for relaxation and enjoyment- but we know better than that. Now that you don’t need to worry about answering questions that your professors are asking, you can ask some questions of your own. Big questions, nothing but the most pressing, most important questions- the ones that can keep you up late into the night. What are my responsibilities to the human race, the earth, the universe? Is death the end? Is anything irreparable? Recently, we asked you what was your favorite book that had been turned into a movie and we got an awful lot of different and interesting responses; running the Gambit from new, popular books and movies, like The Hunger Games and The Diary of a Wimpy Kid to classic pairings like Pride and Prejudice and The Count of Monte Cristo. Many of the books, and some of the movies we have here at the library! The following lists encapsulate what you’ve written as your favorite books that have been turned into movies (or your favorite movies based on books). 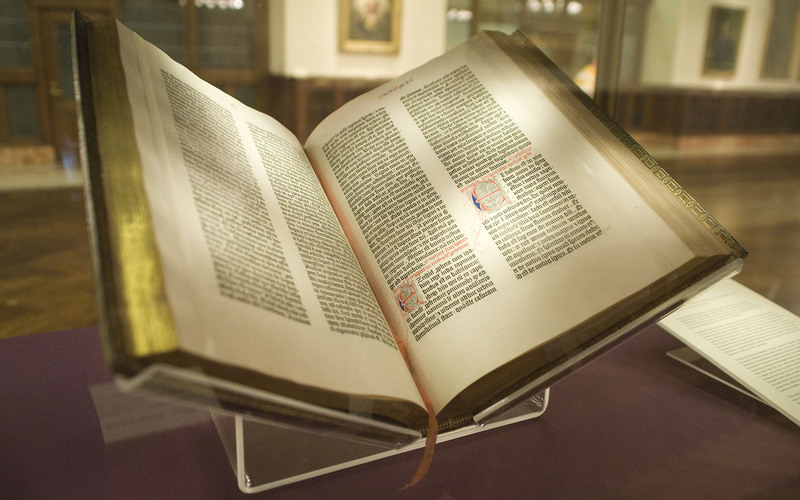 Hopefully these resources can help you in answering the question, Is the book always better? For classics transformed for the silver screen try one of the many adaptations of Jane Austen’s Emma or Charlotte Bronte’s Jane Eyre. The first film version of Jane Eyre hit the screen in 1910 and the latest was released in 2011….Over 100 years of this Gothic classic! Looking for an epic movie marathon? Check out the film adaptation of Tolkien’s The Lord of the Rings. The total running time for the extended edition on DVD is 681 minutes or 11.35 hours. Recommended for only the most stalwart movie watchers. For those who enjoy comic books and graphic novels, try Marjane Satrapi’s Persepolis or Alan Moore’s V for Vendetta. The former is told through Satrapi’s recognizable black and white illustrations in French with English subtitles. 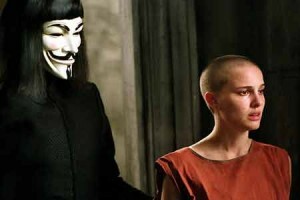 In the live action retelling, Hugo Weaving’s V brings to life the masked revolutionary. On display are also a few lesser known adaptations. Did you know that the character Zorro first appeared as serialized stories in 1919? Antonio Banderas and Catherine Zita Jones starred in the film released in the mid-1990s. 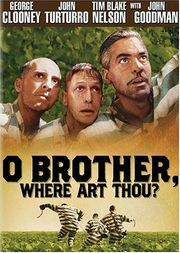 And don’t miss the Cohen brothers’ film, O Brother Where art Thou, which is loosely based on on Homer’s The Odyssey. 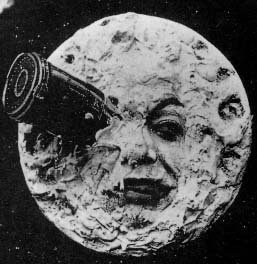 Can you identify some of the familiar themes and images that were preserved in the film? Looking for an Interesting Movie? I began watching this film one rainy afternoon, less than an hour before the Spring 2012 Minor Bird launch party/reading. As the launch party grew closer, my jaw dropped lower. The phone rang, the clock ticked, and I wanted to stop time so I could see what happened. I have since sat with a half dozen friends, watching Grizzly Man with them for the first time. Herzog demonstrates why he is a renowned media maker, and arguably toes the line with his control over the screen. My advice? Do not google Timothy Treadwell, do not start watching this right before the Minor Bird launch, and for heaven’s sake turn off your phone once you hit Play. This film will send you on a ride where you may end up with more questions about life than answers. Please don’t judge this film by its blank box. Inside you’ll find a rich story, capturing a son’s dilemma when the Berlin Wall falls and his GDR loyal mother awakes from a coma. If you have ever bent the truth to protect someone you love, this film will present the conundrum, beautifully. Our anti-hero salvages old pickle jar labels, draws the blinds tight, and coerces family to sing songs from the old Republic to keep his mother from her worst nightmare. Ultimately, I became as invested in the lie as the son, cringing at the implications if it should shatter. Give this film a chance for all the typical reasons: it’s gorgeous, heartfelt and most importantly, thought provoking. ~All reviews written by Angela Wiley. I know, you really want to grab Zoolander, or some Johnny Depp movie to calm your mind…after all, films are about escaping, right? 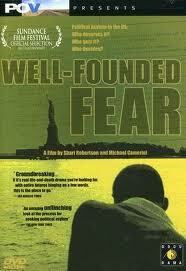 Consider Well-Founded Fear, a documentary about people seeking political asylum in the United States. Their flight from ‘home’ finds them across the desk from a number of immigrant officials who have the power to grant or deny entry. You’ve gathered by this point that the escape of a political refugee is much different than the temporary peace one can find in a dark movie theater. While watching this film, I became fascinated with the role chance can play in such a high stakes meeting – your immigration official may be jaded, or an empathetic rookie. And what in the world constitutes “well-founded fear”? I still don’t know, but certainly stayed up at night thinking about it after watching this film. If this film were a person, it would put both hands on your shoulders, shake you, and shout “HOW CAN YOU LET THIS HAPPEN? !” The exploration of hydraulic fracturing in Gasland finds landowner Josh Fox up to his elbows in water samples, polluted landscapes, and powerful personalities. People affected by “fracking” tell the story here, because they live with it every day. After several decades in practice, the rules and ingredients of this extractive process remain contested in growing public debate. 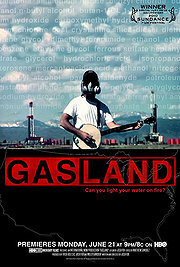 Receiving wide popularity in the Marcellus Shale region among activists, Gasland has also been recognized with an Oscar nod and special jury prize at Sundance. Do not leave Pittsburgh or Chatham without watching this! Before Lady Gaga, there was Daryl Hannah in a post-apocalyptic junk room with one haunting black stripe smeared across her eyes. Blade Runner presents breath-taking lighting, spectacular cinematography and just enough action to make you crave a little more. 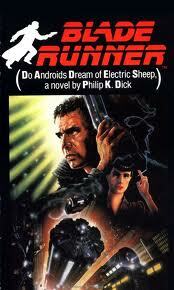 The story settles on pertinent destruction of replicants, a danger to society…it seems simple enough, but can be read from a political, gendered, or even biblical perspective. Alternatively, you can be wowed by the beautifully crafted film and dig no further for signs and symbols. Looking for something to do in all your summer free time? 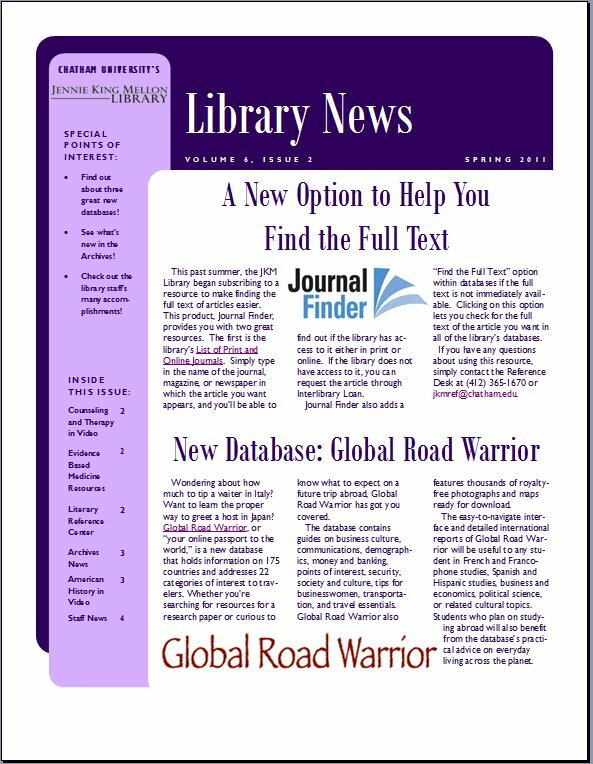 Check out a DVD from the JKM Library! From musicals like Mamma Mia! 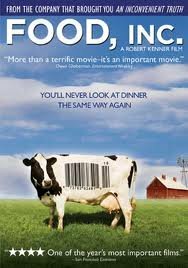 and Wizard of Oz to more educational flicks such as Food, Inc. or Guns, Germs, and Steel to movies that are just pure fun like The Big Lebowski or Drive Me Crazy or Zoolander, the JKM Library has an interesting selection! Use our website to search for movies you’d like to see or browse the collection in the library (the DVDs are located to the left of the elevator).